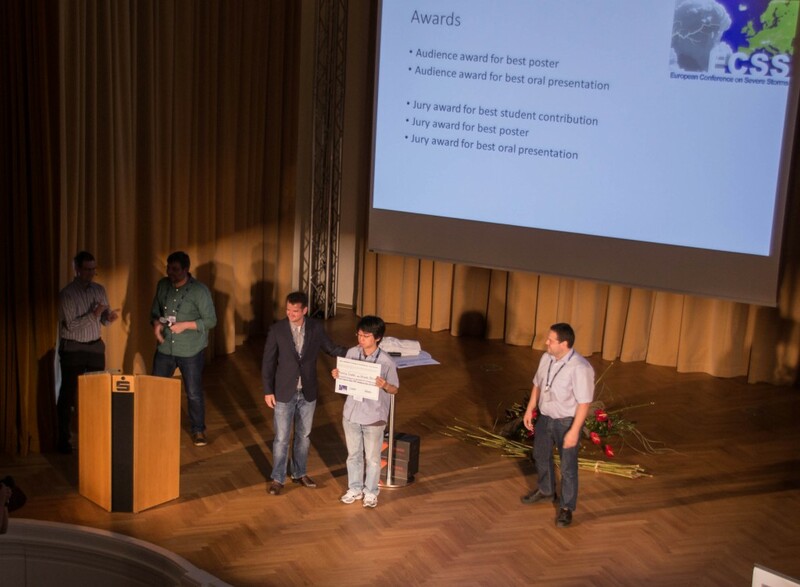 The list of ECSS awardees together with their contributions – for best poster, best oral presentation and best student contribution – is now available here. Dr. Harold E. Brooks receives the 3rd Nikolai Dotzek Award. At the occasion of the 8th European Conference on Severe Storms that was held in Wiener Neustadt, Austria, Dr. Harold E. Brooks (National Severe Storms Laboratory, Norman, Oklahoma, USA) has been awarded the 3rd Nikolai Dotzek Award. The Nikolai Dotzek Award was established in 2011 in the memory of ESSL’s first director and founding father, Dr. Nikolai Dotzek, who passed away in May 2010.
his pioneering work in developing and applying proxy parameters to assess the climatology and risk of severe storms, both regionally and globally. his contributions in establishing the connection between vertical wind shear in the lower troposphere and the occurrence of tornadoes. his extensive work and significant progress on verification methods for forecasts of extreme events. 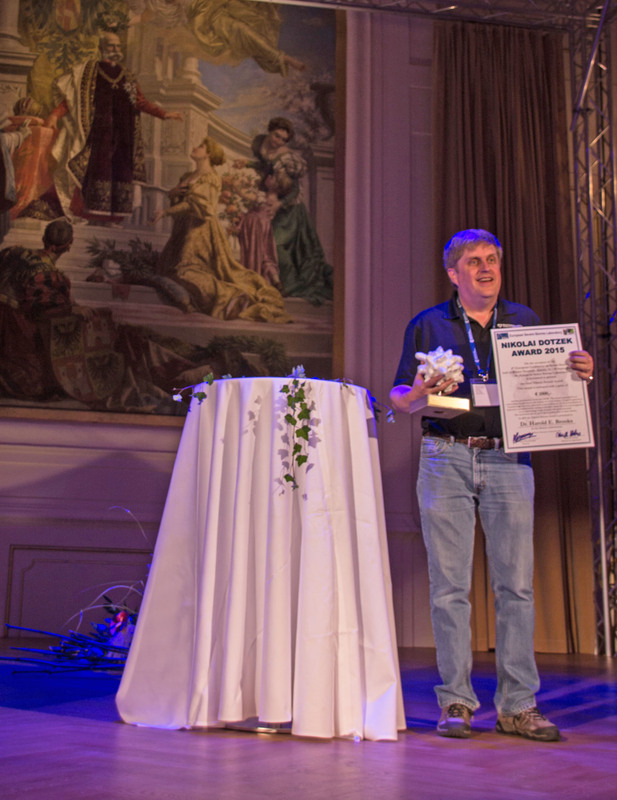 In addition, Dr. Brooks was commended for his support to the European and international communities of severe storm researchers that has resulted in many fruitful collaborations. A list of all Nikolai Dotzek Awardees is available here. “Severe weather and psychology – Analysis of international survey data”, presented by Dr. Alexander Keul. The full list of Heino Tooming Awardees is available here. 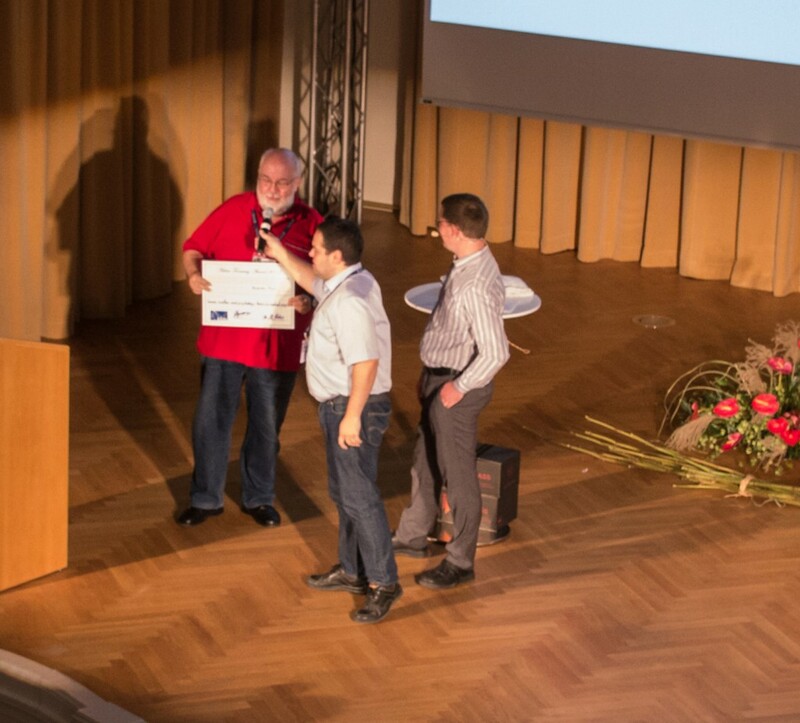 The ECSS in Wiener Neustadt by its participants offered an outstanding scientific programme. Scientists from all over the world, as far as from New Zealand, Japan, Korea, Argentina, Brazil and the USA exchanged knowledge with their European colleagues. The next European Conference on Severe Storms will be held from 18 to 22 September 2017 in Pula, Croatia, in cooperation with the local organizing partner DHMZ.